As I mentioned last time, Qigong is a skill, which we work on to develop our Qi. In the past, in China, there were many names for it, like internal training, breathing techniques, maintaining life skill, directing and leading (the Qi), including meditation. There were all kinds of names, but at the end of the 1970’s, the name Qigong became popular in China. All the skills, that had different names in the past, became known as types of Qigong and over the next twenty years Qigong become very popular. In the 1990’s however there were some kind of Qigong organisation that used Qigong to influence people politically and organise them to challenge to Chinese government. This caused the Chinese government to stop promoting Qigong and they also stopped any organisations promoting and developing Qigong. Even the old traditional Qigong skills that had good backgrounds and history, like our Dayan Qigong (Wild Goose Qigong) was affected. Nowadays, in the park in the mornings we see more people dancing where before they were practising Qigong and Kung Fu! However, Qigong is for good health and so we should teach it properly and let people see and understand what correct Qigong is. I had no idea that Qigong has been used as a political movement. Does this mean that those people who once practised Qigong are now afraid to do so in public? 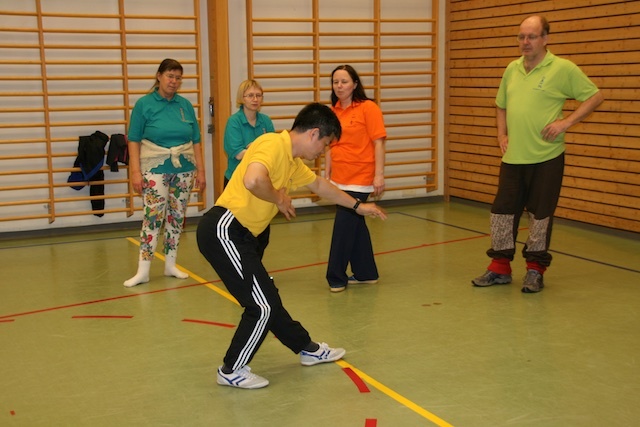 In China today you can practice Qigong, but you cannot promote it and make an organization for it. I believe Chinese government knows Qigong is good but in order to avoid the bad Qigong organizations, so they keep it low key. Firstly can I say thank you for the Qigong site, Tai Sigong. It is very sad that the word Qigong has been misused and most people I have spoken to have never even heard of it – as neither had I years ago. I wish more people could experience the health and calmness that I have gained. Most people are only used to taking pills for “health” or a kwik workout at the gym and don’t understand that we have to actually work at being healthy – hence Qigong.